Retired Air Marshal J S Gujral was today granted bail by a Delhi court in the VVIP chopper scam case filed against him, former IAF Chief S P Tyagi and others. NEW DELHI: Retired Air Marshal J S Gujral was today granted bail by a Delhi court in the VVIP chopper scam case filed against him, former IAF Chief S P Tyagi and others. Special CBI Judge Arvind Kumar granted the relief to Gujral on a personal bond of Rs 2 lakh and a surety of the same amount when he appeared before the court after a summons was issued to him. Tyagi, who was earlier granted bail in the case along with others, also appeared before the court following summons issued in September. The court directed the probe agencies to hand over the chargesheet and other documents filed along with it to the accused and posted the matter for a hearing on May 30. The court had issued summons to Gujral, Tyagi, his cousin Sanjeev alias Julie and advocate Gautam Khaitan on September 19. Advocate P K Dubey moved an application on behalf of Khaitan seeking permission to go abroad next month. The court will consider the application on December 22. 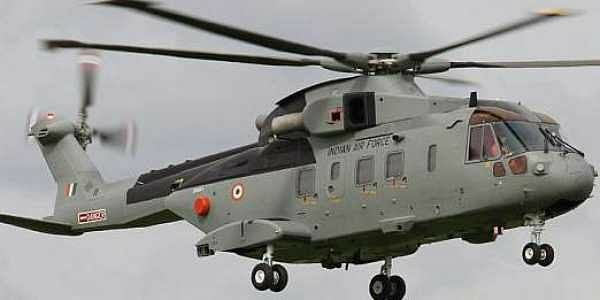 The CBI had on September 1 chargesheeted former IAF Chief S P Tyagi in a Delhi Court along with Gujral and eight others in connection with a bribery case in the Rs 3,500 crore- AgustaWestland VVIP chopper deal. The agency alleged there was an estimated loss of Euros 398.21 million (approximately Rs 2,666 crore) to the exchequer in the deal that was signed on February 8, 2010, for the supply of VVIP choppers worth Euros 556.262 million.